The holidays inspire so many fun crafts. When it comes to Easter crafts for kids, bunnies and chicks are always popular. 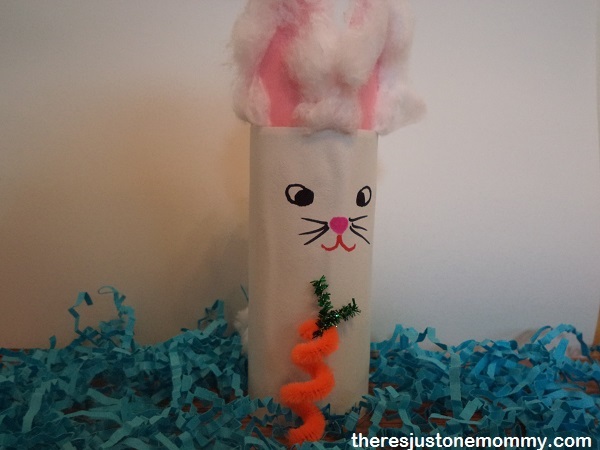 This week the preschooler and I had fun with this simple cardboard tube bunny craft. 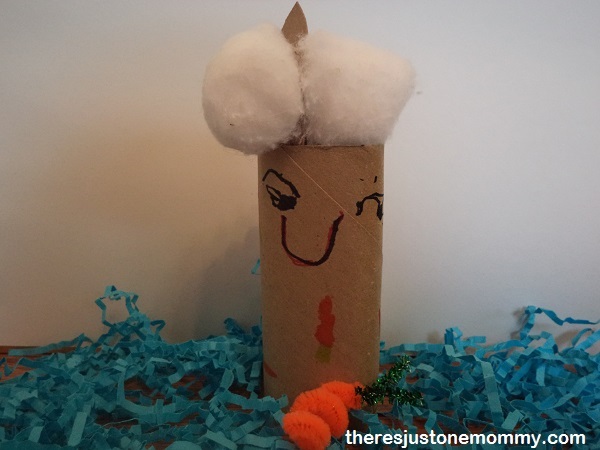 It makes a cute preschooler Easter craft, but it would also be fun any time of the year. This is one of those crafts where the preschooler definitely had his own ideas! I decided I wanted a white rabbit, so I coated the tube with glue and wrapped white construction paper around it. Then I drew on a face, added a cotton ball tail, and used pink paper, with a bit of ripped up cotton ball glued on, for ears. I added one of the pipe cleaner carrots from our Easter Sensory Bin, and he was done! The preschooler had a different bunny in mind in this kids craft. First, he likes the color brown, so we kept the tube just as it was. He used a marker to draw on a face, and drew lots and lots of carrots for his bunny to eat. I helped him cut out brown ears, but he didn’t want to rip up the cotton ball to add to the ears like trim. He was super excited about his bunny. And, it is the perfect reminder that “it’s the process that counts, NOT the finished product” when it comes to crafting with kids. 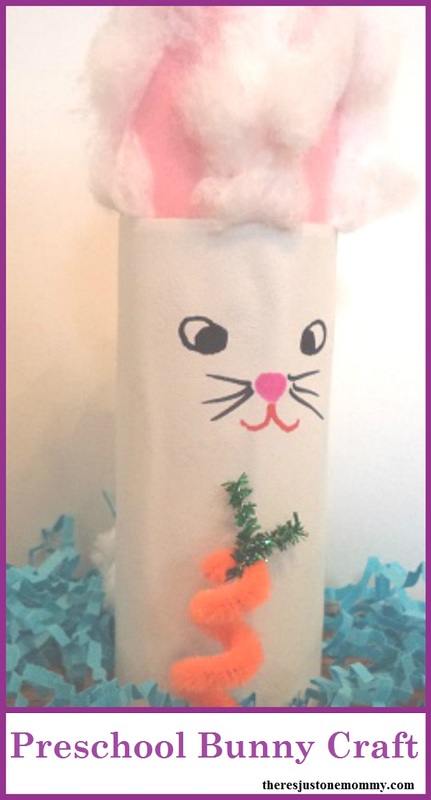 And the best thing about this cardboard tube bunny craft is that afterwards we had some cute little bunnies to hop around the living room. Love that idea of a mommy and daddy bunny! We may need to do that here, too! A little bunny family for the kitchen table…. Way cute, and easy for smaller children.